It's day two of the 25 Days Of Giveaways! Tina gave away a beautiful necklace yesterday, and today it's my turn. Maisie is all ready to come and live with a babylost family. Maisie is sister to Madeleine, they are almost identical twins. Madeleine is staying here with us to watch over our family through our first Christmas without our darling Florence, and Maisie wants to come and watch over another family who needs her to help them through this Christmas. Maisie is approx 35cm/14" tall, and would be happy either sitting on top of your Christmas tree or on a mantel shelf, wherever you'd like to put her. Maisie is not a toy, she's for decorative purposes only, as she has small parts that are not suitable for children. This giveaway is open to all babylost families across the globe. I will pick a winner(using random.org) early tomorrow morning,to give our American friends a chance to enter. Just leave a comment and let me know how you are coping with the Christmas shopping? Are you like me, shopping online,wrapping and hiding before I have a chance to even think about what I'm doing? Or do you have a different approach? Argh, I was going to try and be self-restrained and not comment to enter these giveaways as I haven't made anything myself! My fingers were twitching over Tina's yesterday! But I can't resist this one. Especially as Maisie is a twin and you know that twins are dear to my heart. I have ordered approximately twice as many toys as any child will ever need online and stacked them all up in a heap. It makes me so happy to look at them. Last year J's hospital room was full to absolutely bursting. The nurses had to edge their way in! I bought two 'my daughter' Christmas cards. I couldn't seem to just buy one. I guess one will go in G's memory box. The doll is lovely and I like the thought of her twin being off on some other adventure...sort of like my girls. I never actually deal with Christmas shopping. It has nothing to do with babyloss, I'm just sort of lazy in this department. We usually aim for one 'big ticket' item for Millie and then find odds and ends to fill up the space under the tree. It's not a lack of holiday cheer--I'm afraid it's just pure laziness. 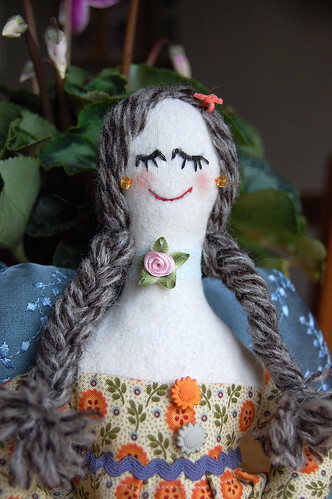 The doll is just so lovely! You sure are talented! This year I am trying to avoid Christmas shopping as much as I can. I will probably shop during off hours and go online. We are also planning on shopping for our angels and donating what we buy for them. The last several years, I have not really been big into shopping during the Christmas season - I hate everything about shopping in crowds. So I have become an 'all year long online shopper' where Christmas is concerned. DH and I pick things up over the course of the year for family and close friends, but about 75% of my shopping is usually done online when it's all said and done...and probably at least 25% of it was done before Gracie died on 7/31/09. So, the shopping aspect is not that big a deal this year. Haven't really done any shopping yet. We'll prolly put it off to the last minute. Geez, I remember when I used to have my shopping done in July. Crazy. 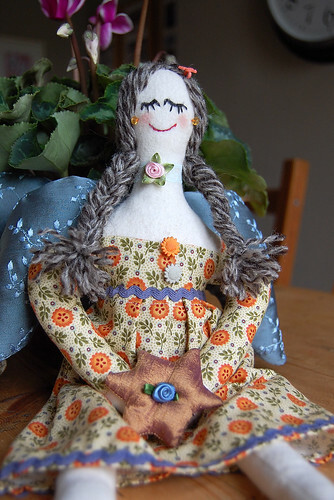 Your dolls are just so beautiful and so is the rest of your sewing. I wish we lived closer so we could help eachother with the bereavement donations. I sew burial wraps and include a little knitted hat with them. You can see them at www.tripletbutterflywings.com if you want. So, for Christmas shopping, I am already done. Money is very tight here and I have been bargain shopping all year. Target has a SUPER toy sale the 3rd thursday in July (75% off) and I got all the kids done then. My husband and I aren't exchanging gifts. The doll is just beautiful. My husband and I won't be shopping. I had so many plans for Christmas, since Shealyn was due in September. 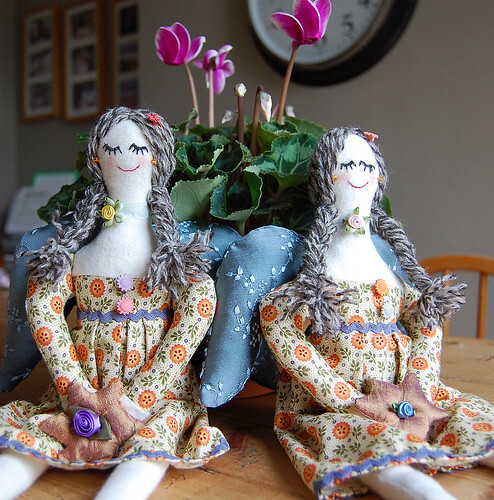 I did but a couple of teddy bears for Shealyn, I will be putting then in her corner of the room. Whatever I do but will be going to my god kids (the good thing about that is they are all way older then Shealyn) so I won't be buying baby toys, and possibly a gift to toys for tots. This is going to be really tough, not sure how I am going to get through it. I really hope I win this doll. She is beautiful. I always find the run up to Christmas very difficult, as Ellie died on the 1st December. So now, I try to get organised as early as possible, and begin knitting and sewing xmas presents in summer, because I know that I'm not really in the right frame of mind in December. That doll is so beautiful! All my Christmas shopping is done. Online. Minimal effort. Which is good, because some days all my effort is required to stay upright and forward-facing. Today has been especially hard - I just miss my little girl. I have been having a hard time shopping. Elliot was myfirst born and I feel like i should be shopping for him, not anyone else... but then I realized christmas isn't just about shopping... I am buying for an "Angel" off the angel tree at my mom's work and this has helped tremendously, knowing I'm going to make a little girl have a good Christmas makes me happy and it's because of Elliot!